From the wider view of art history, the pioneering work of Maria Nordman, with its vision of constantly changing -- often contradictory contexts toward the ”open spectrum of the city,” with the appearance of the elements of nature together with the anonymous actors of urban life – the choices of her actions are a base defining and re-defining specific directions that bring this work to the fore since its beginnings in the late sixties. 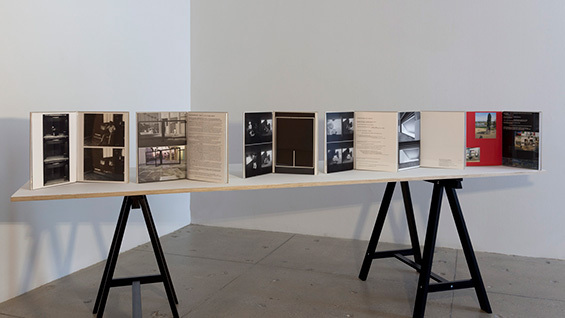 Her work could include at the same period (s ’67-’69)-- working with the sun & fire actions on the desert ground; FIlmrooms; laser rooms, (abandoned after 2 months due to the repetitious nature of the medium,); & Rooms of Moveable Walls; Black Rooms on the street – staying unlabeled, open to the unknown person- & rooms encountered in streets in relation to museums & parks. In this search including a rapid change of media-- she introduces new conceptions of what is (could be) a work of art in the urban context, opening a regard to the essence of the natural elements meeting the energy of daily life, preparing a dialogue in a language without words.